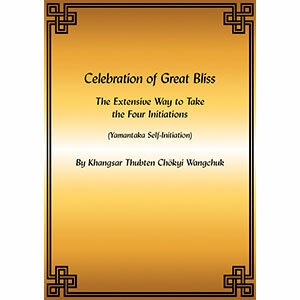 This Yamantaka self-initiation is a brief text composed by the early twentieth-century master, Khangsar Thubten Chökyi Wangchuk, based on the secret oral instructions of the Ganden Hearing Lineage. In order to engage in its practice, one must have received the empowerment of Vajrabhairava (i.e., Yamantaka), completed an authorizing retreat of 100,000 mantras together with the traditional concluding fire puja. 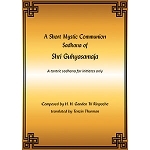 This self-initiation is designed to be combined with Lama Chöpa.